Winner of the SAMA for best rock album, PRIME CIRCLE is set to treat Pretoria-fans to a whole new live experience this weekend when they perform at the Pretoria National Botanical Garden as part of the Old Mutual Music in the Gardens Concert series on the 17th of July. The Old Mutual Music in the Gardens series presents live concerts every two weeks throughout the winter season at the Pretoria National Botanical Garden and is an extension of their sponsorship of the legendary Kirstenbosch Music series in Cape Town. All proceeds from the performances go to The Pretoria National Botanical Garden. 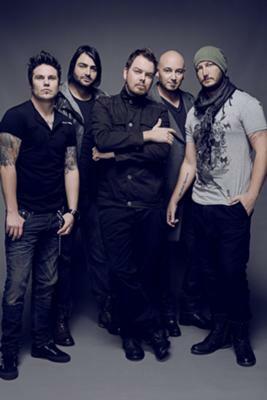 It’s been a great year for PRIME CIRCLE, not only did the band take home the SAMA award for best rock act, but they also won an MK award for Best International Breakthrough and performed with the American rock band, 3 Doors Down, while gaining a whole new set of fans following their recent tour of Europe. After maintaining a solid presence on the South African music scene and amassing a plethora of fans over the past ten years, PRIME CIRCLE have definitely proven themselves to be the reigning kings of South African rock. But knowing PRIME CIRCLE, they are just starting to get warmed up – and even greater things lie ahead for South Africa’s top rock band. For news, updates and more on PRIME CIRCLE go to www.primecircle.co.za or www.primecircle.de and for more on the Old Mutual Music in the Gardens music series go to www.oldmutual.co.za/musicinthegardens. Facilities Available: Restaurant and Tea Garden available on site. Alcoholic beverages are for sale at the Restaurant and Tea Garden. Everyone is welcome to bring picnic baskets and blankets.